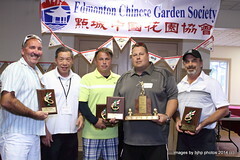 Congratulations to this year’s Chinese Garden Cup Golf Tournament held on August 31st, 2014: Dion Jackson, Reg Eisenkrein, Brad Macpherson, and Lee Harrison! 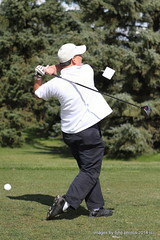 A great many thanks to all the participants, sponsors, and volunteers in making this year’s Chinese Garden Cup Golf Tournament a success! Pictures from the event are available here. A slideshow of the pictures from the event is available below. Press the play button to start the slideshow.